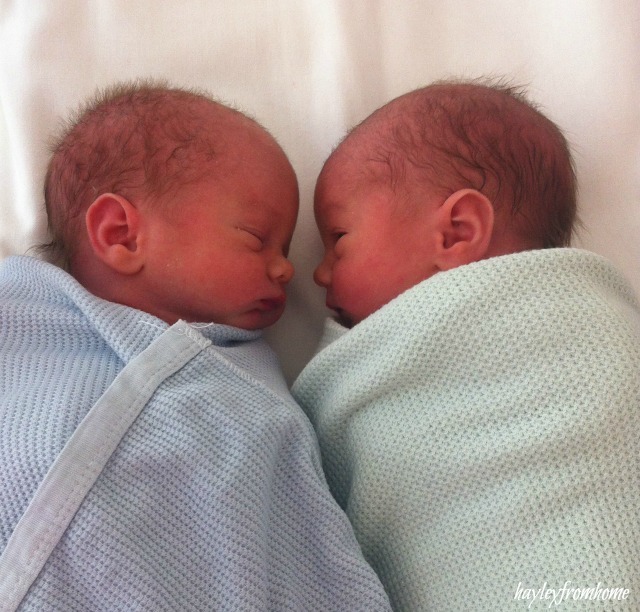 Introducing the newest members of our family; our beautiful identical twins Arthur and Brandon arrived by c-section on Friday afternoon. To us they are just absolutely perfect and the most amazing additions to our family. They have only been in our lives four days and already I can’t imagine life without them; this is the way things were meant to be, I feel like we were always destined to be a family of five. Happily enjoying the new baby haze; I couldn’t wish for a better way to end 2013! Congratulations. Beautiful pictures of them – double cuteness. All the best into 2014.